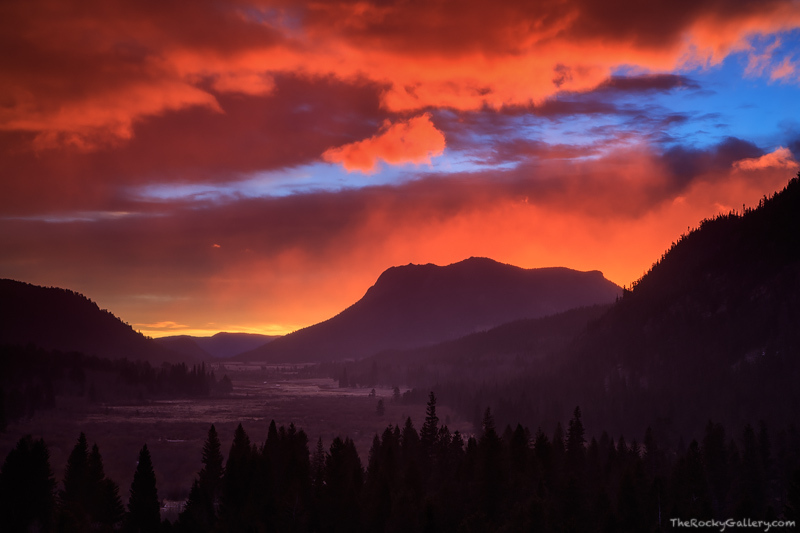 A breathtaking sunrise unfolds over Horseshoe Park and Deer Mountain on the east side of Rocky Mountain National Park. Winter has settled into the valley but snow has yet to cover the grasses and meadows. Snow is lightly falling however as the sun rises behind Deer Mountain. Photo © copyright by Thomas Mangan.